Ti Kaye Resort & Spa is a privately owned secluded, romantic, adults only (18+) resort. Located on a west coast cliff side above the secluded marine reserve of Anse Cochon, one of the definitive natural beaches, snorkeling and diving bays in Saint Lucia. 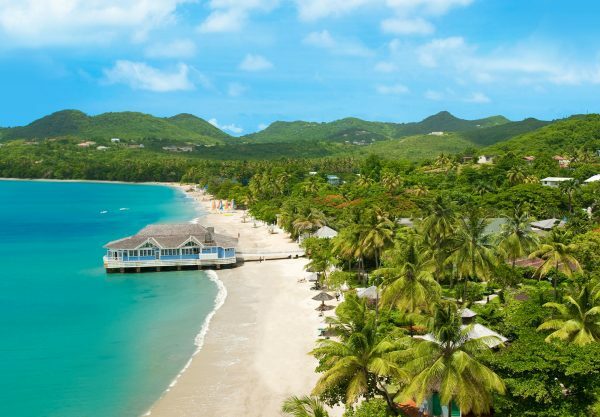 In 2015 it was chosen by experts as one of the Top 10: Caribbean romantic holidays*. With only 33 rooms all built in the typical Creole gingerbread style it is the ultimate destination for romance and relaxation, with stunning views across the Caribbean Sea from virtually every location. Ti Kaye boasts amazing personable staff, incredible Spa treatments in the cliff hanging Kai Koko Spa (number 9 out of the Top 10: The best spa hotels in the Caribbean*), and superb wines in our 500+ bin underground ‘Ti Kave’ wine cellar offering wine tasting sessions. The cuisine prepared by the culinary team in both Kai Manje and Ti Manje restaurants is a collection of indigenous Caribbean infused dishes utilizing international and local produce combined with exotic edibles. Kai Manje restaurant was awarded Wine Spectators ‘Award of Excellence’ in 2013 and 2014. In 2015 it received Wine Spectators ‘Best of Award of Excellence’, one of only seven restaurants in the entire Caribbean in 2015 to have this level of award. 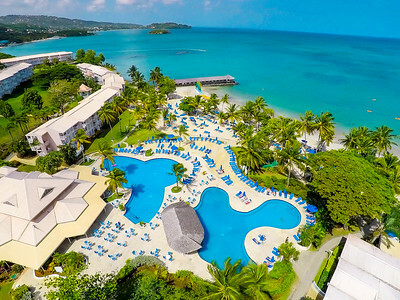 All rooms face the Caribbean Sea and are for a maximum of 2 people per room. Each has a large private balcony with a hammock and rocking chairs as well as spacious open air garden showers. Each room has air-conditioning, ceiling fan and a 4 poster King size bed. Each room also has complimentary tea & French press coffee, mini-fridge (with fresh milk daily), Bluetooth music system / alarm clock, walk in closet with bathrobes, safe, iron and ironing board, hairdryer plus daily maid and nightly turndown service. Ti Kaye offer a room rate that includes continental breakfast plus half board, full board and all inclusive meal plan options. They can cater to all types of dietary requirements and offer a separate vegetarian menu. Their Kai Manje evening menu changes daily for seven days. Dress Code: Sports casual during the day (cover-ups to be worn over swimwear during breakfast and lunch). Casually elegant during dinner. Ti Kaye have our own desalination plant and offer complimentary water stations up at the pool and down at the beach. Their water is safe to drink throughout the entire resort. They have a solar panel system and offer complimentary weekly garden tours to view the plethora of flora and fauna around the resort. They compost their fruit & vegetable peelings, dry leaves etc. and have our own small organic herb garden which our Chef’s utilise daily. They buy local where possible and support local businesses. Ti Kaye Resort & Spa is approximately an 80 minute drive from Hewanorra International Airport (UVF) in Vieux Fort in the South of the island, and 40 minutes from George F Charles Airport (SLU) in Castries in the North. Airlines to UVF are: British Airways & Virgin Atlantic.